Dr. Robert Thoma was raised in Pittsburgh, Pennsylvania, went to Upper St. Clair high school and completed his pre-med studies at Washington and Jefferson College. He obtained his Bachelor of Science in Biology from Penn State. He also obtained a Bachelor of Science in Human Biology and Doctor of Chiropractic from the National University of Health Science, graduating in 1985. 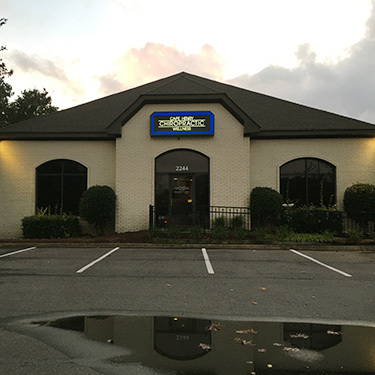 Dr.Thoma established Cape Henry Chiropractic Wellness originally in central Virginia Beach in 1986 before moving to the bay front Shore Drive area in 1988. His present location in Cape Henry Professional Centre since 1992 serves the vibrant corridor of Shore Drive and North Great Neck Road. To educate and adjust as many families as possible toward optimal health using natural chiropractic care. Chiropractic care leads the field among natural healing choices for a lifestyle of wellness and prevention. With the exponential growth of chronic pain and disease, it has become more important than ever to make the right choices in preserving our health. “The Doctor of the future will give no medicine but interest his patients in the care of the human frame, in diet, and in the cause and prevention of disease.” -Thomas A. Edison. When it comes to preserving our health how well we move, how well we eat and how well we think all have an impact. Thus, our philosophy at Cape Henry Chiropractic Wellness is to correct and optimize the performance of your structure, to support your health with diet and supplement recommendations, and to teach the values and beliefs associated with a successful wellness and prevention lifestyle. Growing up very active and participating in sports, Dr. Thoma found chiropractic care kept him at his highest levels of performance. At the age of 4 there was a swimming injury. There were a number of injuries from skiing, football and his time as a professional motocross racer. No matter the injury he was always amazed at his quick recovery resulting from his chiropractic care. He soon recognized the connection to his performance. Motocross is a super physically demanding sport on the professional level, second only to soccer. If he would get his pre-race chiropractic adjustment he would win. With no pre-race adjustment he would finish back in the pack. He understood the connection and made chiropractic care an important part of his performance strategy. In 2002, a sudden onset of hip and leg pain nearly ended his chiropractic career. After two years of constant pain and an exhaustive search for answers he was told by a third neurosurgeon that he would need spinal fusion surgery. He would no longer be able to practice his profession of chiropractic. Fortunately, that is not what happened. He chose instead to make lifestyle changes while on an alternate path that included detoxification, change in diet, exercise, weight loss, stress reduction and nutritional supplementation. In addition to his regular chiropractic care he added cold laser therapy and pulsed electromagnetic frequency therapy. Six months later he was able to play golf for the first time in well over two years. This experience was formative in how he would practice from then on. Chiropractic care, an awareness of diet and environmental exposure, exercise and stress management were woven together into a lifestyle of wellness and prevention. The middle aged mom who was chronically disabled by a degenerative disc in her neck would improve so that she could take up ballroom dancing. With her commitment to regular chiropractic check up she would eventually become a champion ballroom dancer. There was the high school wrestler and football player who was told there was to be no more football or wrestling or the scholarship he needed to attend college as a result of a disc herniation from playing football. There was no football that season while his neck healed but he did wrestle that season finishing third in the state. The next year he played football too and wrestled winning the state championship at 189 lbs. From the beginning of his injury the young man was devoted to his chiropractic care. When the football coach at William and Mary called to ask about this players injury, weighing whether to offer that scholarship, Dr. Thoma gave an “all clear” and further recommended to the coach that he consider this young man for captain of his team! And that the young man would become his senior year at the College of William and Mary. Another high school wrestler with a severe lower back disc injury after wrestling in an international event before his freshmen year would go on to win 4 high school state wrestling titles. He is one of only nine in the history of Virginia high school wrestling to achieve this feat. The whole time he remained devoted to his chiropractic care. He would go on to earn a full scholarship to Michigan State University. Dr. Thoma has a reputation in working with area high school and college wrestlers including 23 state champions and national title winners. When you address all aspects of your health, you can have incredible outcomes, too. Let us get started with a thorough examination to determine how best to help you. Contact our chiropractic care center today! Early morning and evening appoints are available, and X-Rays can be taken on-site.